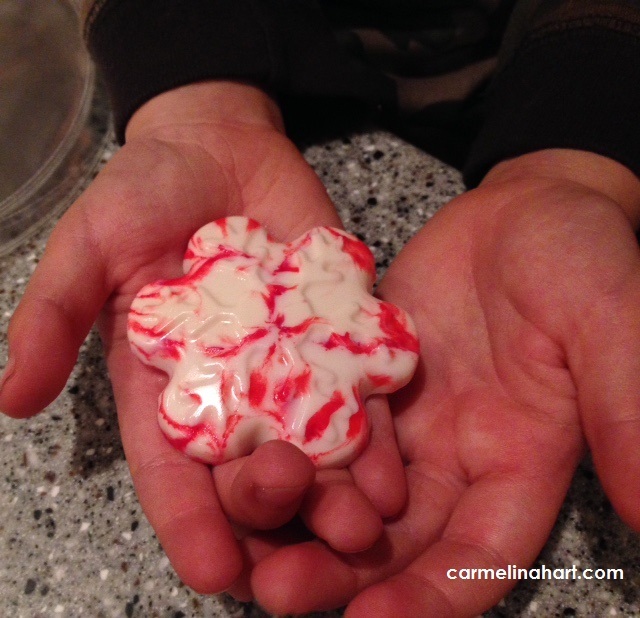 How to make the best Holiday candy presents for the whole class! They are super easy and fun for kids to make and eat. 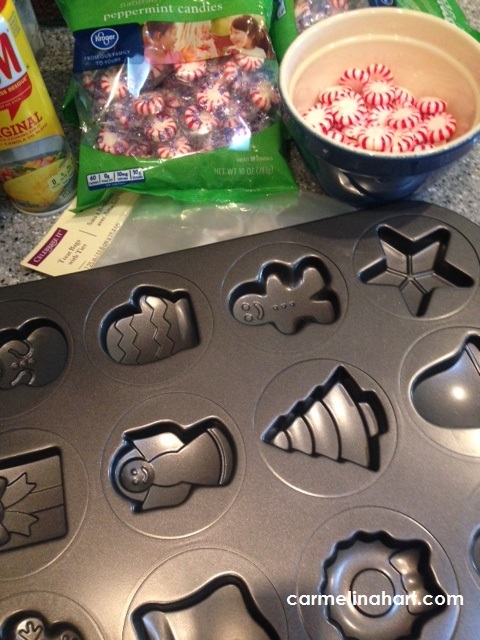 This is all you need: a cookie sheet, peppermint candies, Pam, gift bags with ties and a preheated oven to 350 degrees. 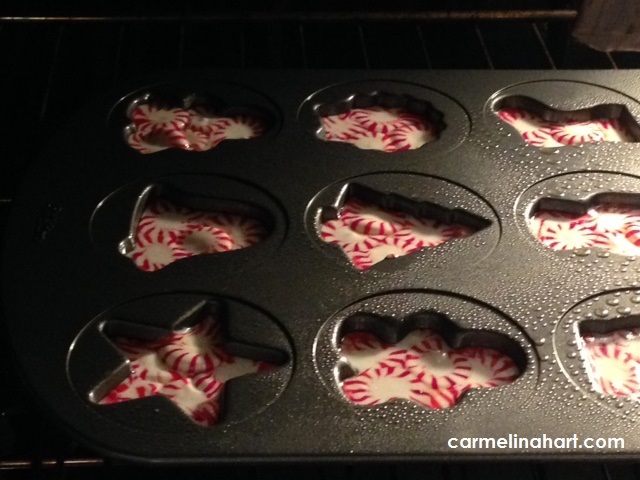 Step #1 – Spray the cookie sheet with Pam. *Tip- Spray the pan in front of an open dishwasher, the excess just gets washed away. Step #2 – Then place a few candies in each cookie shape. Step #3 – Bake in the oven for about 5 minutes or until melted. 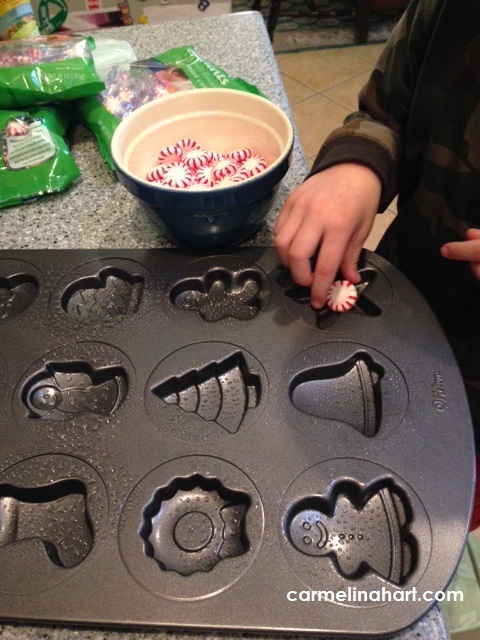 Step #4 – Let the candy cool, then pop them out of the cookie sheet. 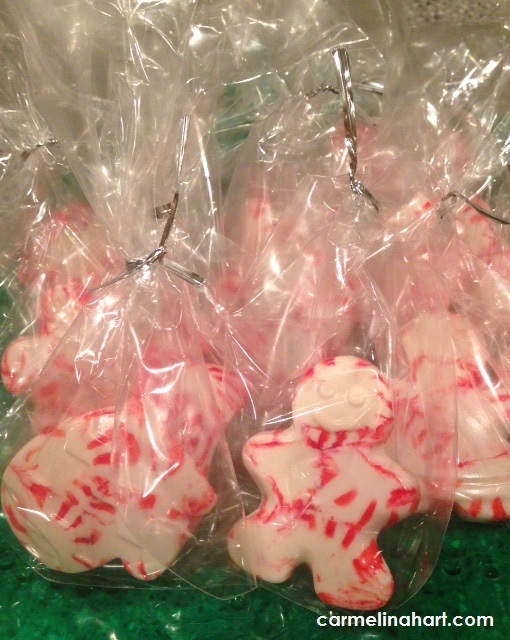 Step 5 – Gently place each candy in a gift bag and secure with ties. 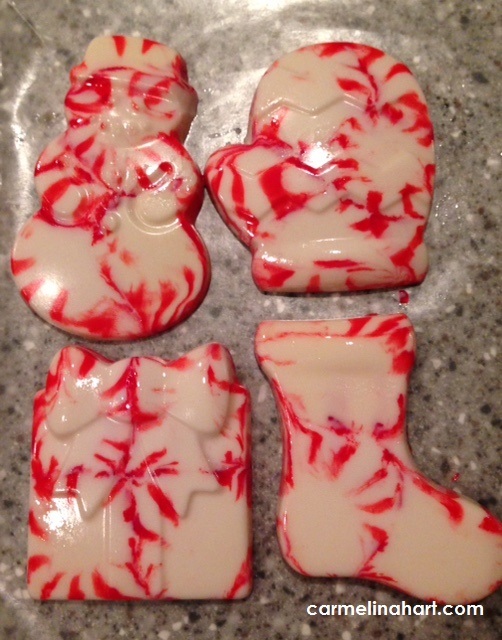 Forget candy canes, make fun candy gifts this year! 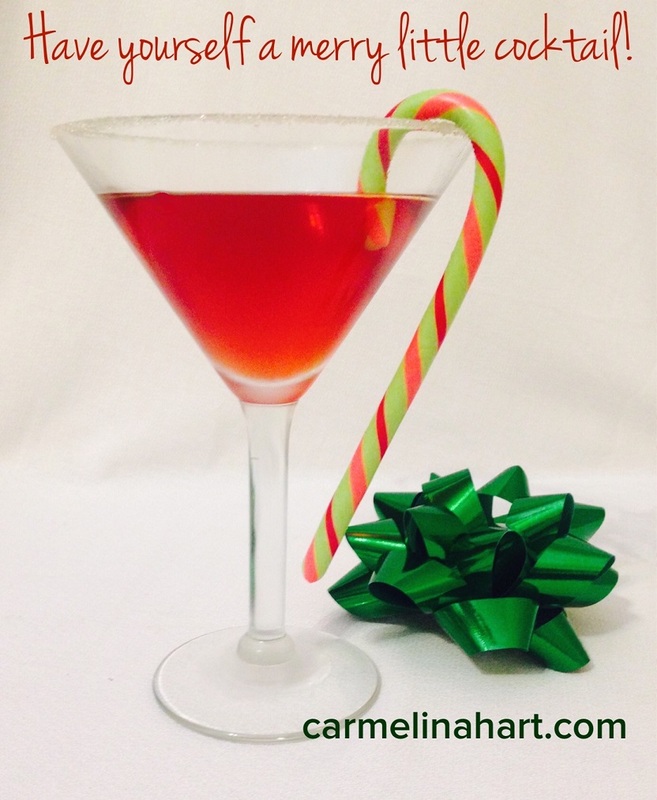 It’s that time of year again, holiday parties, holiday brews and holiday cocktails, all in the spirit of the season. 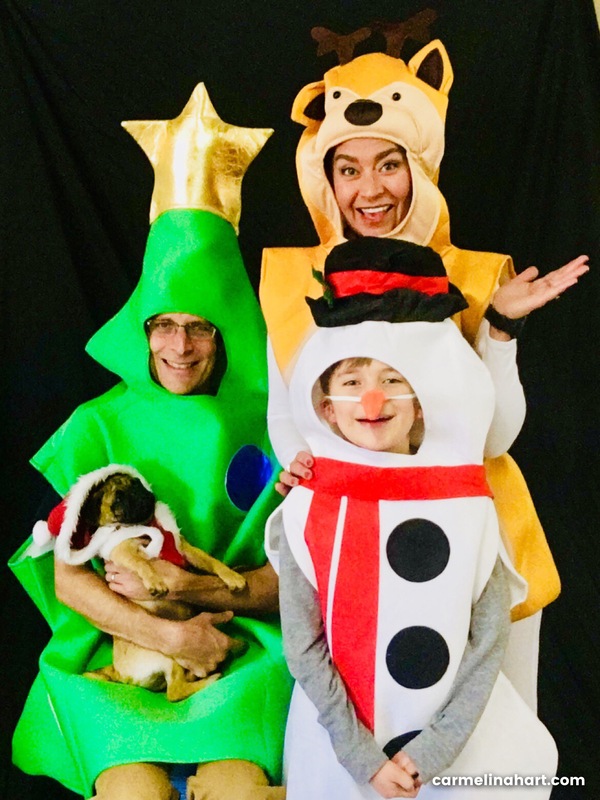 Don’t get me wrong, I love this time of year, and other than the word “holiday,” I do my best to give it my all every season. I nodded and thought, me too.